I’ve heard from several first-timers that they were disappointed by EPCOT after going to the Magic Kingdom. Gasp! This hurts my ears! But really it’s a fact worth noting for rookies: EPCOT is not the Magic Kingdom, and you shouldn’t expect it to be. There is SO much to do and see, but it was never meant to be a theme park the way the Magic Kingdom was designed to be. I often tell people to go in expecting a huge science museum on steroids. You know you love your science museum…now multiply that times 10 and add characters, fireworks, and awesome food. That’s EPCOT. I’ve seen lots of first timers rushing around EPCOT in a frenzy. Again, they’d probably just been at Magic Kingdom, where you kinda have to go-go-go in order to do it all in a day. But EPCOT is just the opposite. If you rush, you will actually miss more. Take time to linger at the interactive exhibits. Wander aimlessly though the back streets in World Showcase. EPCOT is a big place, but you can do it in a day without rushing. Slow down to do more. I promise. That being said, you will want to be somewhat scheduled about your EPCOT day. Try your best to get Fast Passes for your top Future World rides in the morning. (World Showcase opens later, so you’ll want to do Future World first.) You will want to get a Fast Pass for either Soarin’ or Test Track since they always have the longest lines. You cannot get Fast Passes for both, unfortunately, so whichever one you did not get a Fast Pass for should be your very first ride of the day (try to beat the crowd). Yes the My Disney Experience App is super helpful. But in EPCOT I find that it’s easier to keep up with that day’s show times on an actual printout…and there are lots of shows that are worth your time in World Showcase. While you’re waiting in line for your first ride, collaborate with your party about which shows you’ll want to see in the afternoon and map your route around the Showcase. There are no water rides in EPCOT, but there are two splash areas that are totally enticing for little ones. Why not use a splash area to entertain the shortest members of your group while others do the rides with height restrictions? They’ll have a blast…but they’ll want a dry outfit afterwards. The BEST food in all of the parks is found in World Showcase. If I were you, I’d plan to spend the morning in Future World, then head to World Showcase for lunch at one of the awesome counter service joints. (Mexico rocks…just sayin’) At that point, start making your way around the pavilions. Remember Tip #7 and try to figure out which shows are important to see in the early afternoon. Did you not quite finish Future World? Or did you get an additional afternoon Fast Pass that you want to use? Try doing half of World Showcase in the beginning of the afternoon, then using the boat to bring you back to the “beginning”. Finish up your Future World fun, then start back in to World Showcase from the opposite direction. EPCOT’s Kidcot and Agent P Missions are an awesome way to do World Showcase with kids. For more details see our article here INSERT ARTICLE. Actually, I would even recommend Agent P for those traveling without kids…it’s that good. 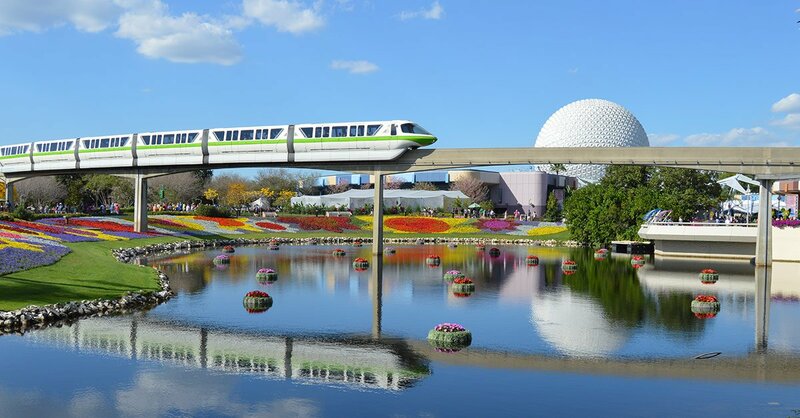 Enjoy the one-of-a-kind experience that is EPCOT! After all, where else can you find both the world and the future at your fingertips?